Symondsbury Estate Summer Fair 11am – 4pm. Donkey rides, falconry, live music, bouncy castle, Punch & Judy, fresh doughnuts, market stalls, shops, café and more. Manor Yard, Symondsbury www.symondsburyestate.co.uk. 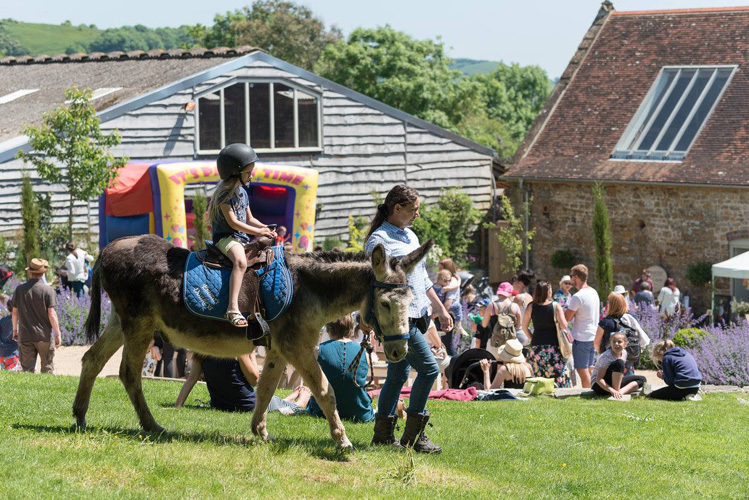 Join in the fun with all the family at Manor Yard, Symondsbury. Keep the kids entertained with face painting, donkey rides, the Punch & Judy show and our bouncy castle. Be amazed at Extreme Falconry in the Tithe Barn Garden and listen to live music in Manor Yard. Look at local art and crafts, food and drink, fashion and gift stalls. The Home & Garden store is open all day and is hosting our “Name the piglets” competition! Dine in the sunshine at Symondsbury Kitchen with our BBQ and indulge in fresh ice-cream, doughnuts and milkshakes!